Huntington residents in need of generators should turn to PowerPro, which provides generators and competitive equipment only pricing for pick up or curbside delivery. The company also offers ‘ReadySet’ package pricing for the home or office, which features the equipment, optional concrete pad, delivery, placement, battery, and start up. Please contact us for generators for sale in Huntington. PowerPro possesses the equipment, the knowledge and competitive pricing in order to satisfy all needs in Huntington, whether it is for home or industrial generators. We welcome the chance to show you, and offer free consultations. Contact Power Pro Generators Inc. for generator sales in Huntington, Long Island 631-567-2700. PowerPro both sells and services all of these reliable and well known brands, which gives the company a vast array of choices in equipment, price and availability for Huntington. 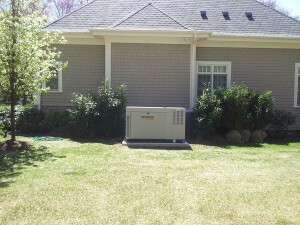 PowerPro Generators Inc. possesses the right equipment for the most effective job in Huntington, NY. If you choose to have your electrician perform the installation, ask if he has any experience doing this work in Huntington. Your contractor can come to PowerPro for the equipment so we can be part of the generator installation process. Should you not have an electrician or general contractor, we will complete the generator installation process for you. We use licensed & certified electricians who we train in generator installation as well as master plumbers to do work in Huntington, NY.For generator installation on Long Island contact Power Pro Generator Inc. To secure a generator installation in Huntington cost estimate call us at 631-567-2700.